Congratulations, you have just purchased the most powerful system in the world for generating online leads for architects. Are you fed up with being used by prospects (doing too much work for free before you get paid - having your brain picked only to have them choose someone else)? When was the last time a doctor ever came to your house, diagnosed your condition, told you how to fix it, and then sent you a fee proposal so you could assess (at your leisure) if you wanted to pay him or her for future advice? Doctors don't work for free! If You Answered ‘Never”, You Are Correct! Hi, My Name Is Richard Petrie. I’m the ‘highly paid’ marketing consultant for professionals who was recently interviewed by both Enoch Sears of BusinessofArchitecture.com and Eric Bobrow of Internet Marketing for Architects about how I helped a New Zealand architect raise her fees and book herself solid in 4 months. It was quite remarkable. But as I’ve continued working with architects, I’ve realized that your industry is plagued by an epidemic. For some reason architects have been conditioned into GIVING VALUABLE EXPERTISE AWAY FOR FREE. Your prospect puts nothing on the table, you ask them to make no commitment, take no risk, show no good faith and meanwhile you are “going all in” to use a poker term. No wonder it is easy for them to fold and walk. Having worked in over 20 different industries selling professional services this is the craziest selling process I have ever seen. Yet this is the traditional method for selling architectural services around the world. This approach is so distorted and broken if it were a horse it would have been put down years ago. Even my computer repair guy will charge me $90 up front to open up my Macbook Pro to tell me if he can fix it or not. No guarantees until he looks under the hood. Fixing is extra. While lawyers, doctors, car mechanics, accountants all get paid from the first meeting, architects are brainwashed into giving away the most valuable resource they have. How has this ‘cut your own throat’ selling system been allowed to survive? Architects are being fed a series of lies and myths that you should stop eating. WRONG: The more of your time and expertise you give away the less they value you and the less you are valuing yourself. Once you give away your expertise the cat is out of the bag. They think they don’t need any more and can take your advice elsewhere. WRONG: At least half of your prospects come to you with unrealistic expectations of what their project will cost. The time to get rid of the dreamers or set expectations straight is as early as possible. If they run then you WANT them to run before you have done 10 hours work. WRONG: Most people do NOT expect architects or any professional to do so much work for free. The problem is in the mind of architects who are too busy copying what everyone else is doing. Here’s a secret… you do NOT copy what poor people do if you want to get paid. For the past 12 months I have been studying how to get my architecture clients paid. My clients get paid upfront and in advance from the first appointment – that is how we structure our sales process. I surveyed over 600 architects and asked them for their best strategies to close deals and win projects and get paid. Then took what is working with other professional services and added the best strategies I got from my architect clients and created a system that even a child could follow. I call this the Prospect Converter System. Those three things can change your life. I know what you are saying – you cannot control the client, they make their decisions when they want. This approach, like all my marketing approaches for all the industries I help is based on EDUCATING prospects NOT selling. That is because you are the expert not them. They will work to your rules and process and they feel comfortable because they want to be led. The system is built on a few core principles. TWO: Who ever educates the market owns the market. You need to educate not sell. Architecture is a luxury item and the clients you want are probably at the top end of the tree, these people want experts not journeymen. The best way to guide them and persuade you are an expert is by taking an educational role. Educators are automatically given higher status within their jungle. THREE: The client follows your process right from the start. This means if they want you to do ANY work then you take the lead and run the process YOUR way. You are the expert and you know the best way to start and finish (and the best way to start is by paying you UP FRONT). The weak will tell me that clients will not accept this but I am telling you the quality clients prefer to pay for quality advice from a professional. In Richard’s Architects Marketing Academy (where architects pay over $9500) his Prospect Converter Method™ is his most powerful, paradigm-shifting technique. This method alone can entire re-make your business. Some architects joined the program just to get this tool. But we know many could not afford this big-ticket highly comprehensive program. 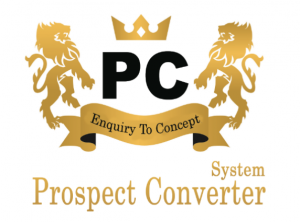 So we asked Richard if he would consider releasing JUST the Prospect Converter System. For the first time ever you will have access to most powerful conversion system for architects available anywhere. The step-by-step system (including scripts) for getting paid right after the first phone call and getting commitment from the prospect. All you have to do is follow the script. The educational tools and resources to send a prospect that is not qualified to help them educate themselves on their own time. They will often come back later. Richard will personally lead you through a 6-week interactive class on six webinars where we take a deep dive into the inner workings of our proprietary inquiry to close sales process, and show you how to get clients that are willing to pay top dollar for your services. Week 1: The BIG PICTURE overview and the world’s best qualification questions. Week 3: Scripts – how to present your price and get paid upfront. A Neuro-Linguistic Programming based system (NLP) for handling objections. 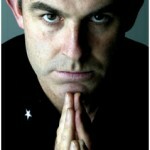 TWO one-on-one phone consultations with Richard Petrie ($1500). Session 1 will be how to implement the scripts and process into your business. In session 2 Richard will role-play the process with you so you feel confident. Want to Remake Your Business In 2014? If you’re not satisfied with this program in any way, let us know within 60 days for a 100% refund, no questions, hassle or hesitation. Richard Petrie is only interested in having clients who are delighted with the results they are getting. No thanks, I’m not interested in this one-time offer. Take me to the thank-you page. DISCOUNT: One Payment of $1,997. Pay in full today and save $253 instantly! You think you maybe having heart problems so you call a friends heart specialist -Dr. Freebie. You know he is expensive because the friend paid him $30,000 but he comes highly recommended. Dr. Freebie surprises you by offering to come to your home to see you and give you ideas about your options. The good doctor also offers to research your condition and send you a no obligation fee proposal. You accept. “This is amazing!” you say to yourself. The doctor drives an hour despite being really busy to get to you. Then Dr. Freebie spills the beans telling you about your problem in detail and suggests some of your options. His diagnosis seems spot on and his ideas seem great. If he was trying to show you how knowledgeable he was then he succeeded – you are impressed. A few days later arrives his fee proposal to design a plan of action for you. It’s more than you were expecting. Given the great advice already received do you need his plan? Since most of his ideas were around a change of diet you figure that you could actually just see a nutritional expert for a fraction of his fee. Dr. Freebie calls to ask about ‘where you are at which his proposal’ you tell him that you are putting the ‘heart renovation’ on hold. At least till after Christmas. Stop the madness and join the revolution. Start getting paid for your expertise and increase your conversion rate.